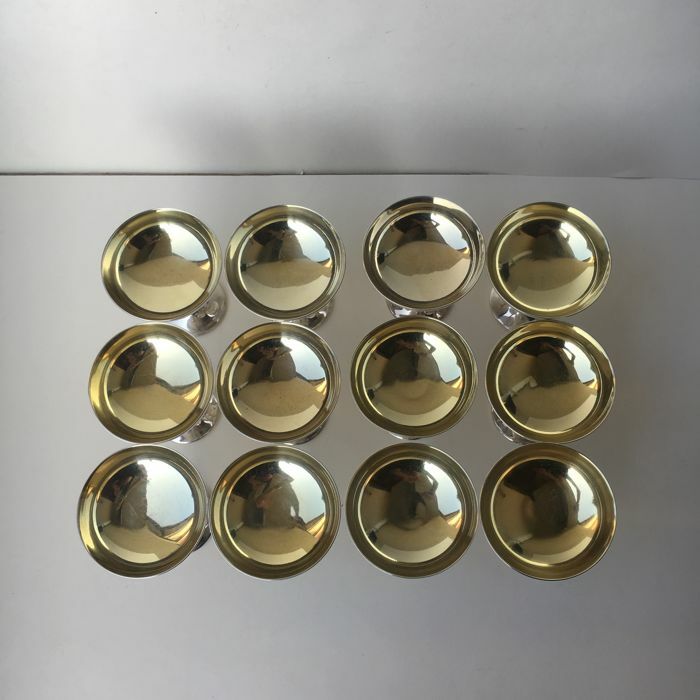 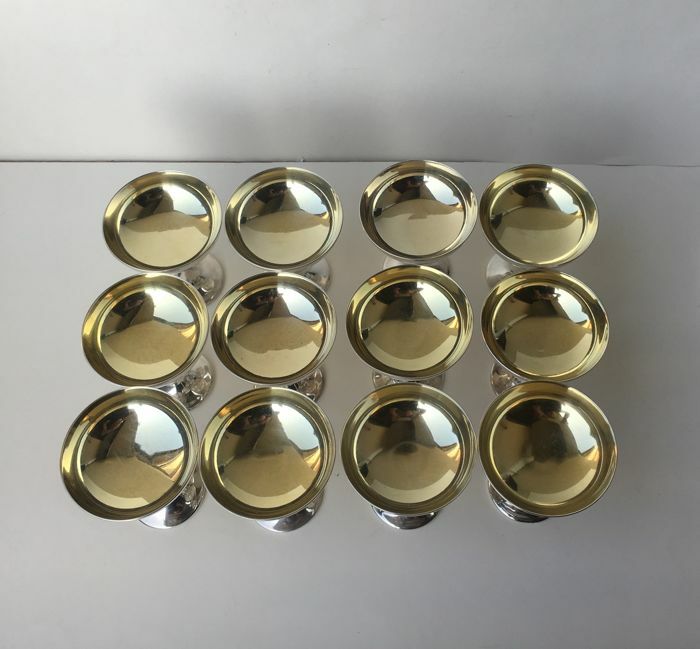 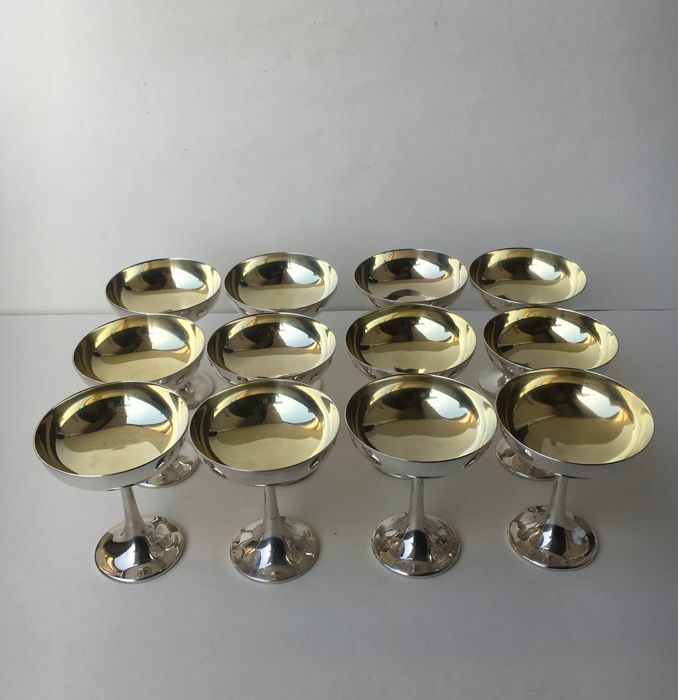 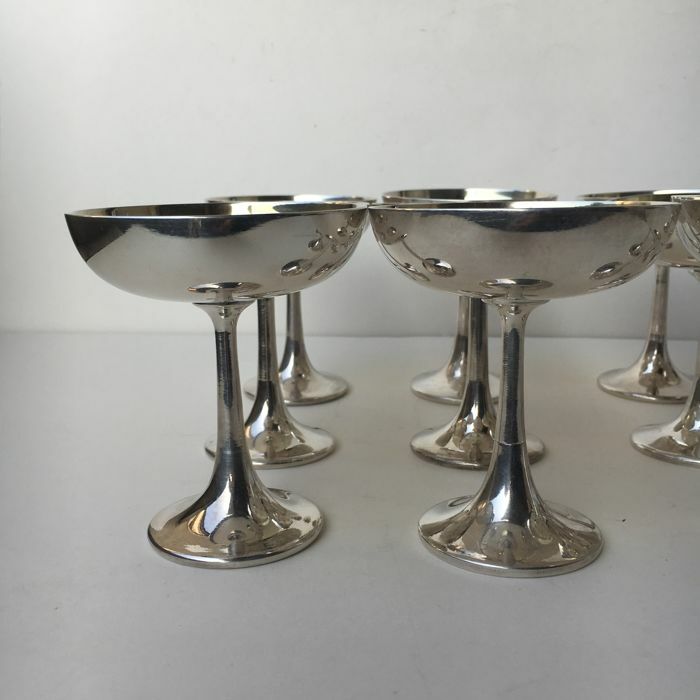 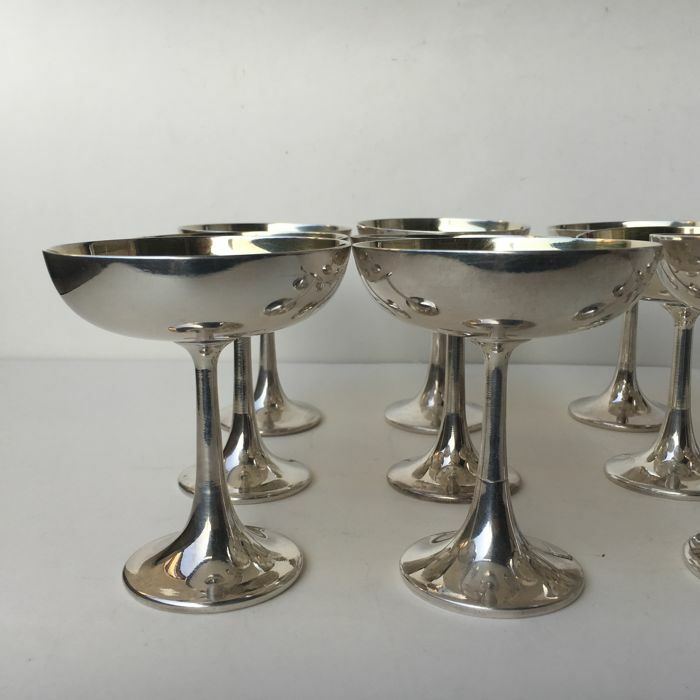 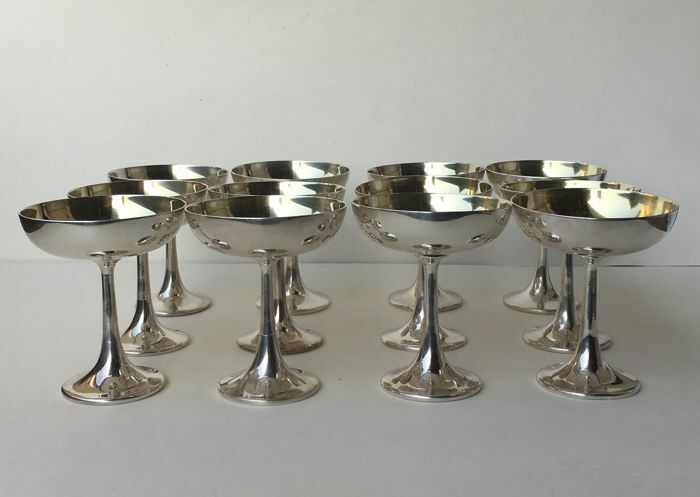 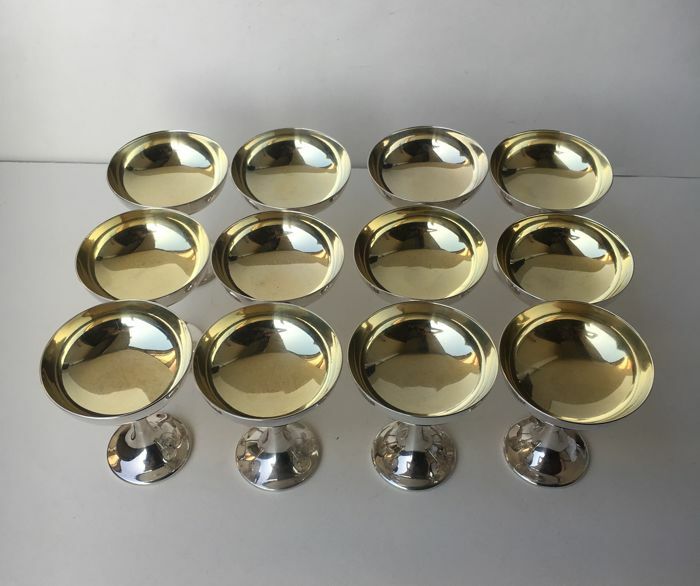 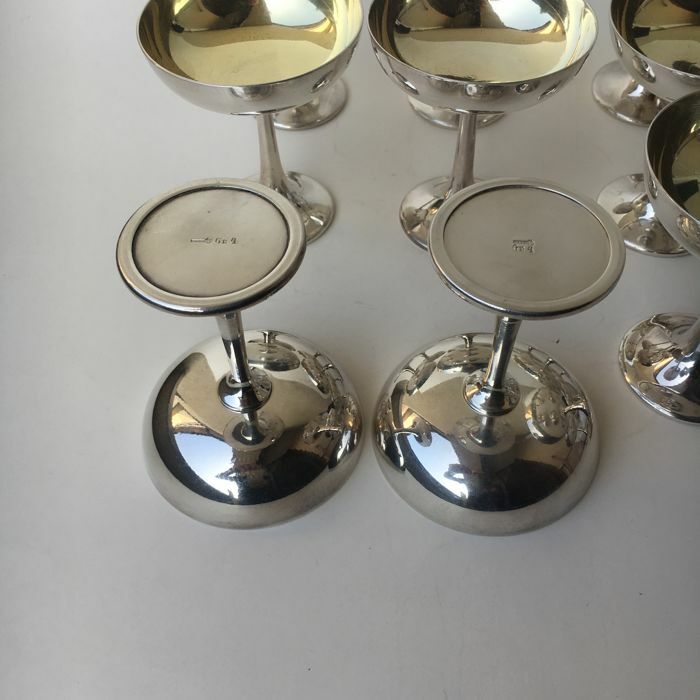 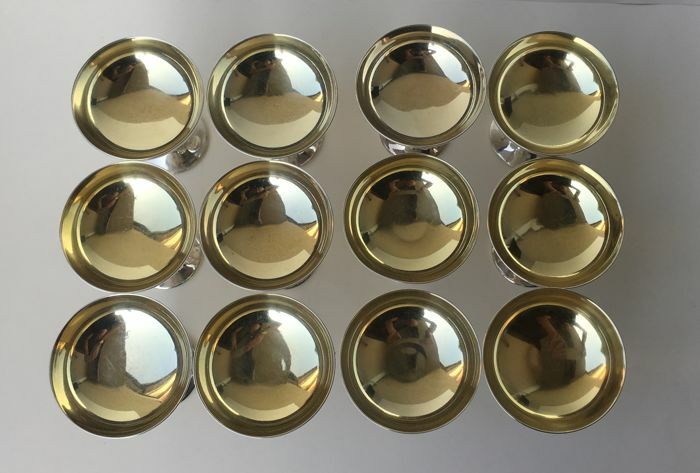 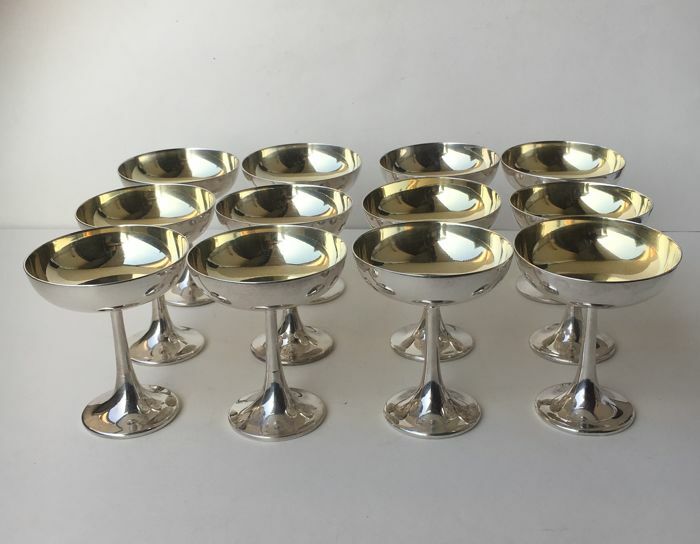 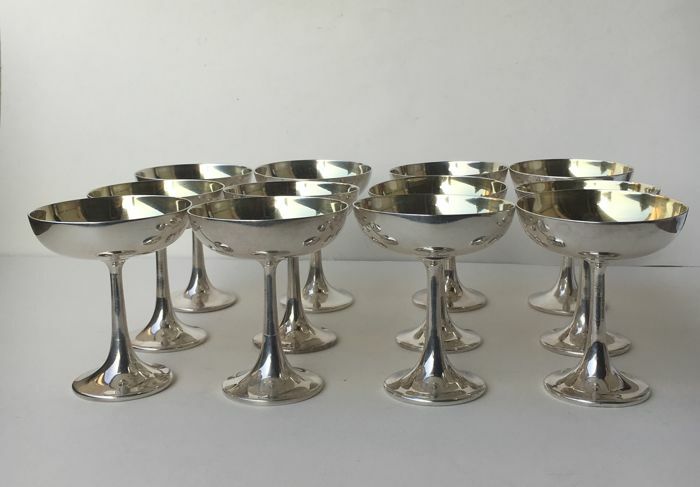 12 silver plated ice cream cups manufactured by Siap Argenteria (Italy), in excellent condition.Silver net weight: 4 grams in each cup (as per hallmark on bottom). 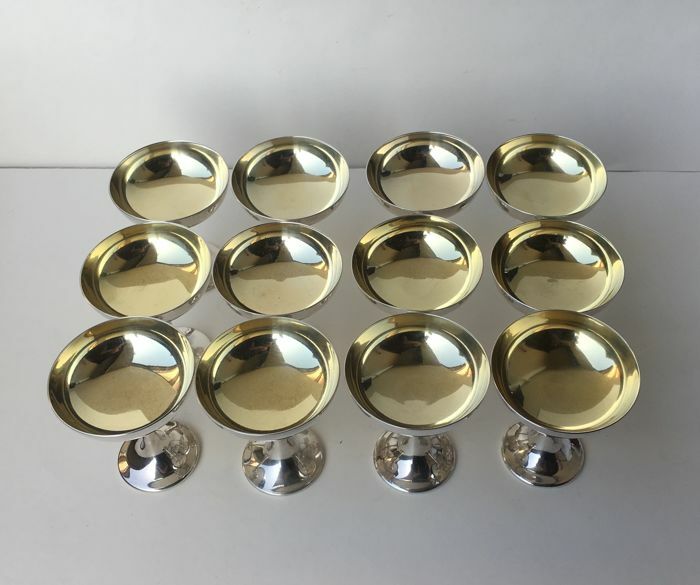 Total weight: 2800 grams. 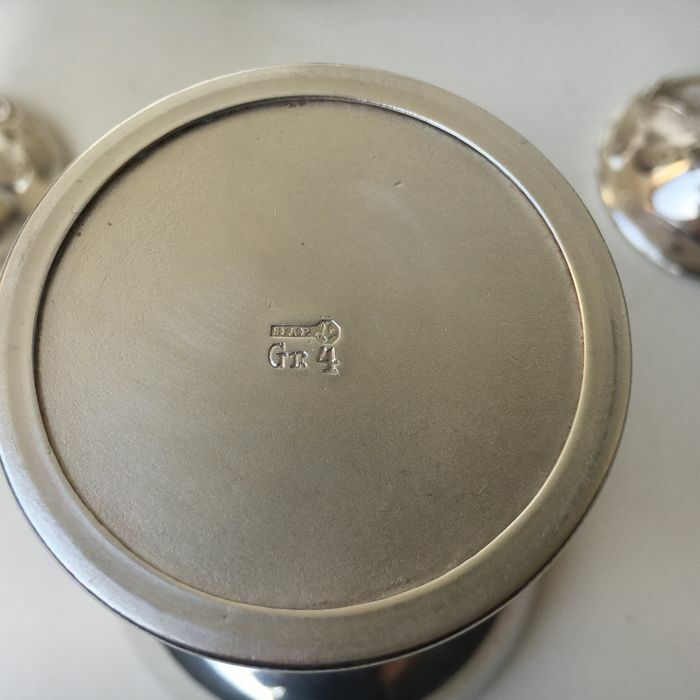 Società Industriale Argenteria Posaterie S.I.A.P, before Barberis Pietrasanta & C., trademark active from 1926 to 1929, when the company was purchased by CESA 1882. 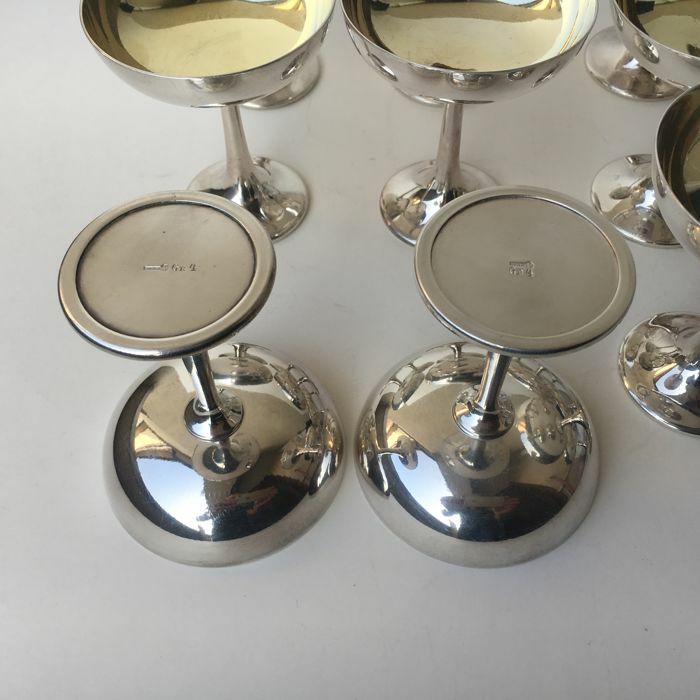 U kunt dit kavel ook ophalen bij de verkoper: Cermenate (italia/como/lombardia), Italië.